Having your dream home be constructed right before your eyes is a moment of joy, but surely you want it to last long. It's always certain that the construction of buildings, bridges, and curbs includes concrete. The secret to increasing their life-span is using a reliable concrete sealer that can prevent damage to the structure by deteriorating it. You may think that the contractors you hired already used a concrete sealer on your property, but there's nothing wrong with getting it resealed once every couple of years. It’s crucial that you invest in a high-quality sealer that will provide guaranteed results but with so many options on the market, it’s easy to get confused. However, the one way you can’t go wrong is with Armor AR500 Concrete Sealer which is produced by the brand, Foundation Armor. Get the best protection and performance with this sealer because you can use it in a variety of concrete-based surfaces. With this concrete sealer, you can say goodbye to holes because the unique, strong formula penetrates through the dense structure of concrete. The solvent based acrylic sealer bonds well to the concrete, even with a single coat. The sealer comprises of excellent quality resins manufactured in the US. It doesn't simply stick to the surface; rather it goes into the holes and is embedded on the concrete from under the pores in the surface. You can use it on concrete surfaces indoors and outdoors as well, which means you can use it to cover the porch, pavement, and even the main hall. 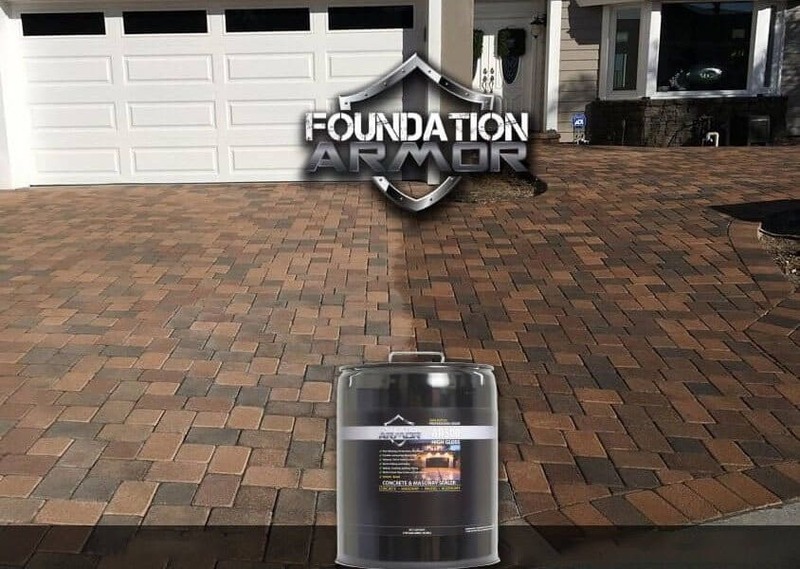 Upon applying it to concrete surfaces, you'll find the appearance of certain areas to have improved even though they had dulled due to constant use because the Armor AR500 Concrete Sealer leaves behind a shiny, clear finish that lasts long and is resistant to effects caused by UV rays as well. Moreover, it will be unharmed by tires, mold growth and even stains. You won't have to deal with effervescence or weather changes causing damage to your beloved concrete surfaces any longer. Regarding compatibility, you'll find that you can use the Armor AR500 Concrete Sealer on concrete that has been previously sealed and even on that which hasn't. If you're wondering about the coverage five gallons provide, an approximate guess is that it would be enough to cover 500 square feet with double coats of acrylic sealer. However, the amount of coverage you get also depends upon how porous your concrete is and the method of application you use. That said, you can turn to a pump spray or a heavy-duty roller to provide you with the coverage you require. Although you can use a brush as well, we don't recommend it due to the risk of coming on unevenly. Clear, solvent-based sealer is non-yellowing and prevents the concrete from deteriorating which is caused by abrasion on the surface. Once you apply a single coat, recoating the surface becomes much easier, and you get guaranteed protection against stains and damage for over two years. You might want to recoat more often if your concrete driveway gets heavy use. After that period, you can simply reapply the sealer to lengthen the lifespan of the concrete whether its porous, stamped concrete or aggregated. Contact with extremely high or low temperatures and humidity can cause damage to concrete structures. 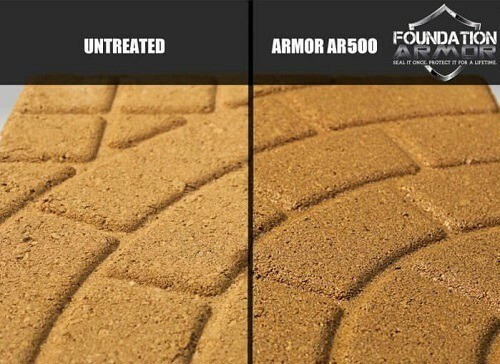 You can preserve the life of your precious home by using Armor AR500 paver sealer. Users of the Armor AR500 Concrete Sealer are impressed with its performance because of the amazing results they have received. Many online review sites show positive reviews in its favor, and this shows how this product has garnered a massive customer base. Buyers appreciate the compatibility of the sealer with unsealed and previously sealed surfaces, as long as you use a solvent-based acrylic sealer. They are also pleased with how they can choose from two methods what is most comfortable for them. Many consider it as a great investment because of how it protects concrete for a long period and only wears off after a few years. Despite the amazing results proved by happy customers, some prospective buyers were reluctant to purchase because of the hefty price tag. Admittedly, the price is not low, but it is a bargain considering the length of time for which it will protect your surface. Another problem that was suffered by users was the effects of the sealer being solvent-based. The strong fumes would require many of them to keep a window open for ventilation. 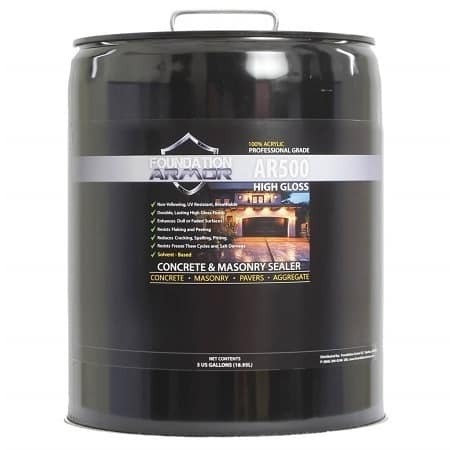 Interested buyers can purchase the Armor AR500 Concrete Sealer from Amazon at the price of around $225. Moreover, upon purchasing this product from Amazon, you get to avail the exclusive benefit of free shipping as well. 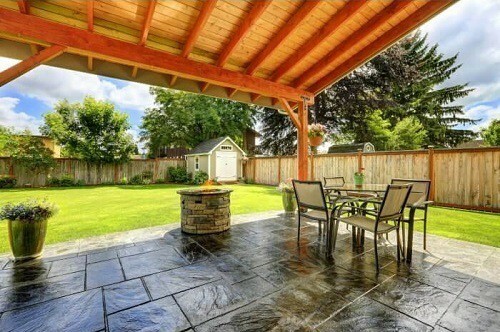 Every homeowner is advised by a contractor or renovator at some point to invest in high-quality concrete sealer for the sake of their home's longevity. You should not ignore their advice because the results of acting on it are truly worth the price. Moreover, they keep the home in excellent condition which increases the curb appeal. As a result, homeowners get the additional advantage of a higher resell price on their estate.